We have a giant box filled with little containers of beads. Doesn’t every home have an overwhelming supply of beads? 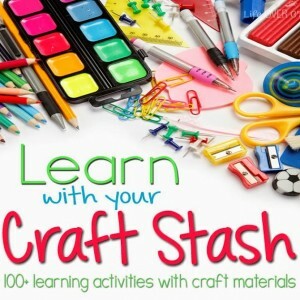 Today we are participating in Learn with Your Craft Stash – finding ways to combine creativity and learning. So, what are we going to do with all those beads? Then I remembered friendship pins. 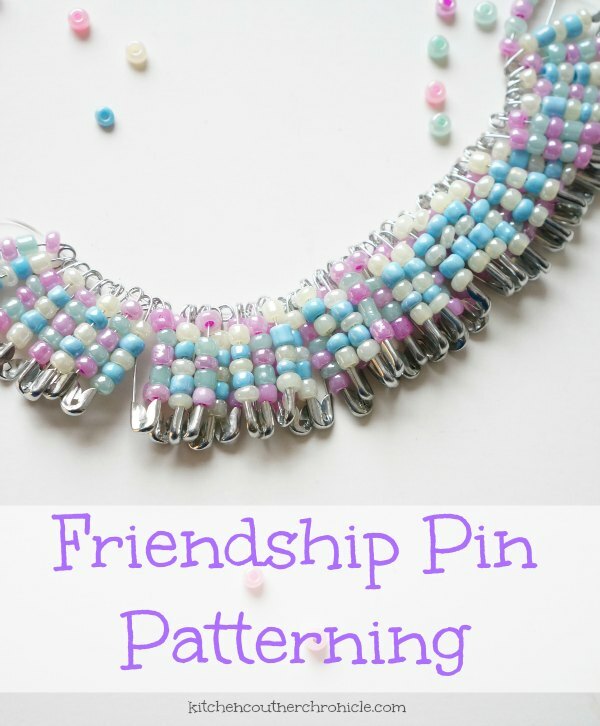 Do you remember friendship pins? 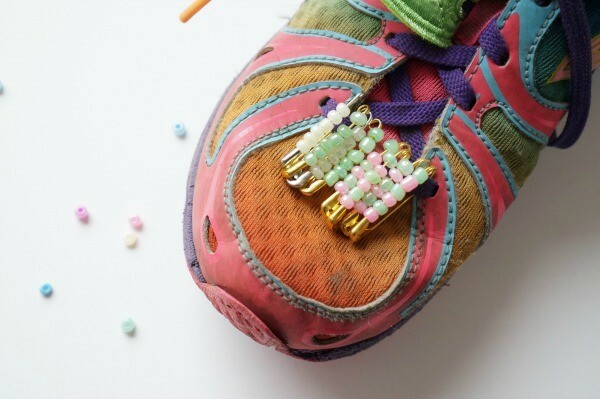 Safety pins with colourful beads that you would share with your friends and pin to your shoe laces. I know, so 80’s. Well, I got to thinking about beads, friendship pins, fine motor skills and patterning…turning this simple craft into a creative learning opportunity. Our first step was sorting our beads and sorting our safety pins. That – took – a – long – time. When we were done our sorting, I had my girls determine how many bead would fit on each different sized pin. With that knowledge we started creating patterns on graph paper. 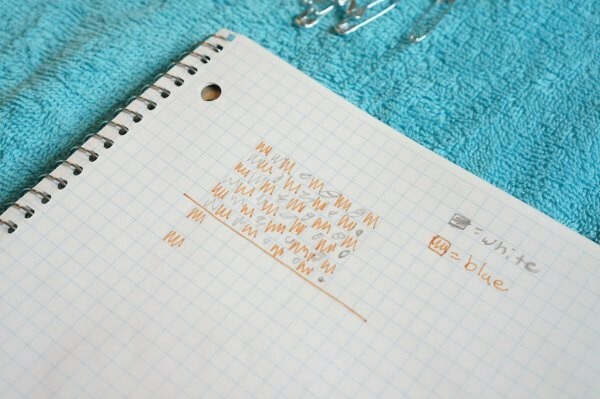 Using graph paper my daughters planned out the pattern they wanted to create. The number of boxes down are the number of beads on a single pin. The number of boxes across are the number of pins being used. 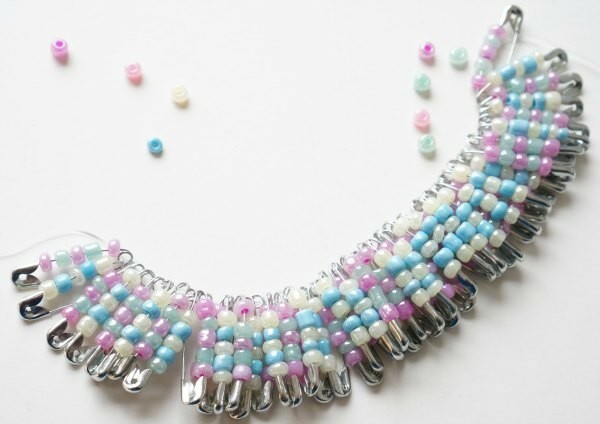 Once the created their pattern on paper it was time to get beading. The patterns came to life right before their eyes. My youngest daughter remarked “Putting these beads on the pins is really making me use my fingers.” Yep, fine motor skill development is important for older kids too…not just toddlers. When the beading was all done, the pins were complete. My daughters had so much fun they kept piling on beads – even making a beautiful patterned necklace. 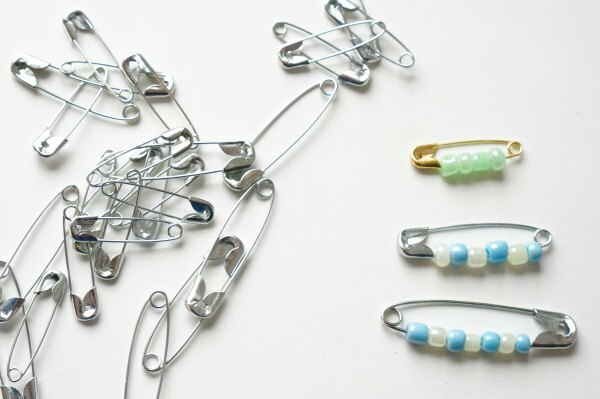 A couple of tips – these pins are going to be put on shoe laces, but if you want to keep the pattern together on a large safety pin you will need to take an extra step. Using pliers, unwind the loop at the end of the safety pin. 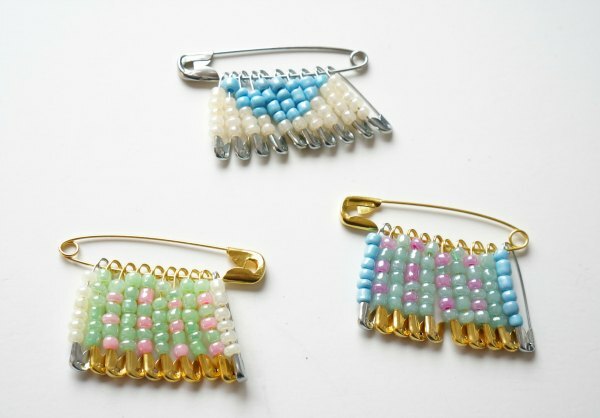 Slip the beaded pin on the large pin. Once all the patterned pins are in place, recoil the end of the safety pin. Now the beaded pins are secure and the large pin can be attached to a shirt, hat or scarf. We even made a groovy little video to go along with this super fun craft. Head over and check out all the other fun Learn With Your Craft Stash crafts and activities being shared at Life Over C’s – so many ways you can create and learn with that beads collection. Looking for more Springtime recipes and craft ideas, check out our everything we are sharing on Pinterest. What a lovely idea. I’m always looking for new ideas for my granddaughter when she visits. I’ll put this on the list! Thank you. or buy the ones without the coil at end. they are out there. I used them making these in the 80! thanks for memories!